Need a quick meal? Some ice cream for dessert? Our frozen department is the place for you! We carry a wide variety of ice creams and frozen treats, tv dinners, frozen vegetables, and many other frozen items. 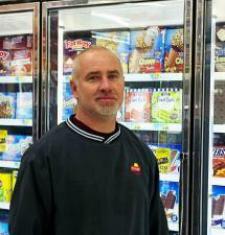 Talk to Larry, our frozen foods manager. He will help you find it!